Arrive Cochin airport or railway station. Transfer to Munnar, one of the most popular hill stations in southern India known for its sprawling tea gardens. Arrive & check in hotel. Evening go for a stroll in tea gardens near your hotel. Stay overnight. Tea Garden has become one of the reasons behind the international fame of the hill station of Munnar and regarded as a prominent hub of tea trade in the country. This hill station is synonymous with rolling hills that are carpeted with verdant plantations of tea. This place is recognised for having some of the best and most beautiful tea gardens across the globe. In present times, the hill station has more than 50 tea gardens. Located in Munnar, The New Whispering Meadows is in the mountains and within the vicinity of Eravikulam National Park and Carmelagiri Elephant Park. 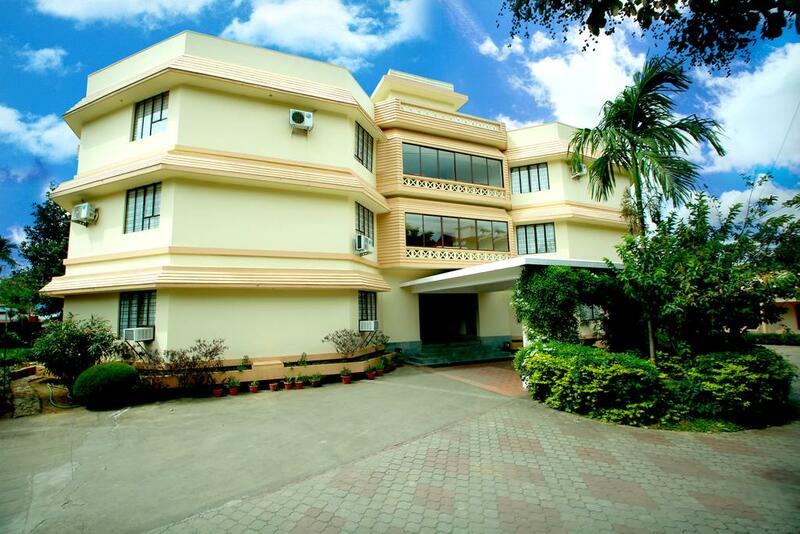 This hotel is within the vicinity of Tata Tea Museum and Rose Garden. Make yourself at home in one of the 21 guestrooms. Rooms have private balconies. Cable television is provided for your entertainment. Enjoy a satisfying meal at a restaurant serving guests of The New Whispering Meadows. Anamudi is a mountain located in the Indian state of Kerala. It is the highest peak in the Western Ghats and South India, at an elevation of 2,695 metres (8,842 ft),and a topographic prominence of 2,479 metres (8,133 ft).The name Anamudi literally translates to &quot;elephant&#039;s forehead,&quot; a reference to the resemblance of the mountain to an elephant&#039;s head. The first recorded ascent of Anamudi was by General Douglas Hamilton of the Madras Army on May 4, 1862, but it is likely that there had been earlier ascents by local people. Echo Point is a very beautiful place in Munnar, which got its name from natural echo phenomenon situated at a scenic lake bank. When one scream at here, he will be hearing his voice returning to him. Placed at an altitude about 600 ft, Echo Point is located 15 km away from Munnar, on the way to Top Station. It has a greenish look as it is covered with abundant green sceneries. It is an adventurous destination, which will be a perfect choice for those who love to have a nature walk or trekking. Eravikulam national park is spread over an extensive area of 97 sq km along the crest of Western Ghats in the high ranges of Idukki district. Located 15 km from Munnar, the national park is one of most important tourist destinations in Kerala and is managed by the Kerala Department of Forest and Wildlife, Munnar. Most of the areas of the national park are consistent hill plateau. The forests here are commonly known as &lsquo;shoals&rsquo; &ndash; evergreen tropical and sub tropical moist broadleaf forest. Mattupetty Dam is among the most visited destinations in the tourist hotbed of Munnar. It is a storage Concrete Gravity dam built in the mountains of Kerala, India to conserve water for hydro electricity. It is a beautiful picnic spot that regularly attracts visitors. The view of the valley is breath-taking and one gets to simply relax and enjoy the beautiful weather. The lush green tea plantations and forests are ideal for trekking and host a large number of unique bird species. Top Station is the highest point at 1700 m above sea level in Munnar, located around 32 km away from Munnar, on the Munnar-Kodaikkanal road. Here one can enjoy the panoramic view of Western Ghats and the valley of Theni district of Tamil Nadu. The place is famous for the Neelakurinji flowers, which used to bloom once in twelve years. The drive on a winding path decorated with rare flora, is one of the most exhilarating in the entire country. After Breakfast transfer to Thekkady. Set in the heart of the Cardamom Hills of Kerala is Periyar National Park and Tiger Reserve, offering a rare opportunity to enjoy South India's wildlife. Arrive and check in hotel. Afternoon visit spice plantations. Stay overnight. Let Michael’s Inn look after you. Caressed by the nature around, this fine tavern helps you to discover Thekkady. Witness the pageantry of natural forces at work from a stage set in at a magnificent place by the name, Michael’s Inn. Cradled in an exquisite altitude of the Sahyadris, Michael’s Inn is sure to provide a different facet of nature to the discerning nature lovers At Michael’s Inn our motto is ‘It is very personal’. True to the motto we maintain a very personal experience to the guests visiting us. We provide a neat, clean and friendly environment at Michael’s Inn. The guests can be assured that in trying to keep up with our motto and policies we are willing to travel the extra mile to meet their expectations. A weary traveller should always leave us with a refreshed and relaxed mind and body. We Lakshmi resorts carry forward the great tradition of hospitality through excellent holiday solutions, we provide total customer satisfaction; and alongside generate employee satisfaction by providing congenial working environment; and also contribute to the image of hospitality industry through our perfect service and high quality standards. 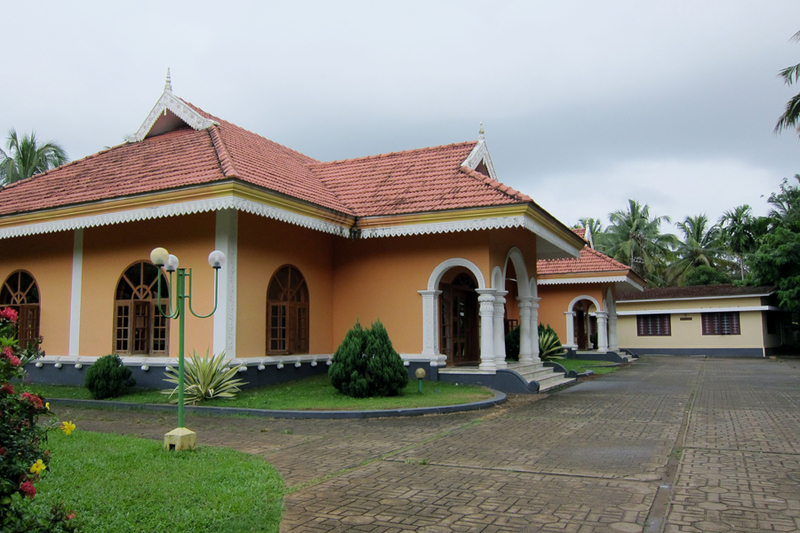 Our ideal location Kumarakom intoxicates you with its charming exotica. Seductive beaches, Serene Backwaters swaying coconut lagoons, lush green paddy fields, delicious cuisine - a sublime heritage. You will feel the uniqueness the moment you step into our resort. We wish to share with you our life, our culture, and our home state Kerala. You are our Royal guests. Welcome to Kerala, welcome to Lakshmi Resorts. Transfer by road to Cochin (90 kms / 1.5 hrs). Arrive and check in hotel. This afternoon you visit the Jewish synagogue, Dutch Palace, and end your tour with a visit to the Chinese fishing nets. Stay overnight. 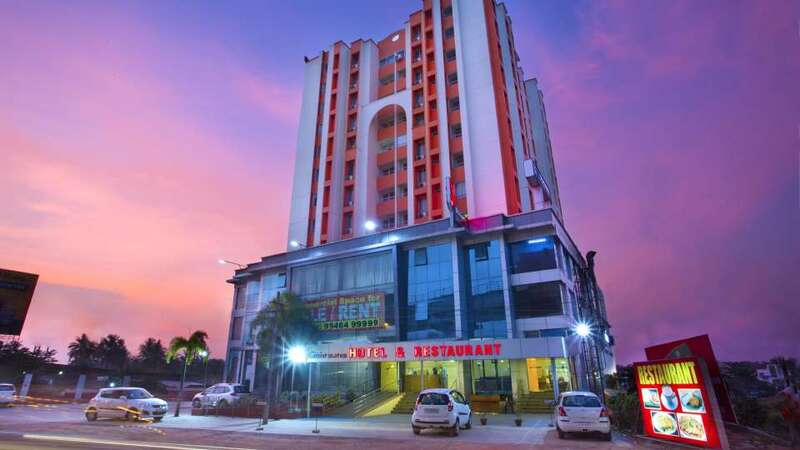 Hotel Asset Summit Suites, Kochi, offers beautifully-appointed rooms - Deluxe Suites and Executive Suites. Each of these rooms is embellished with intricate designs and offers modern conveniences including internet connectivity, television, minibar, tea & coffee maker, and more. Book your stay now and avail a delicious breakfast as well! 06 Nights / 07 Days accommodation. 5.00 % Government service tax. All tours are subject to terms and conditions mentioned on the booking form in our brochure.